For cooler days this season, opt for this Faux Fur Trim Quilted Gilet by New Look. 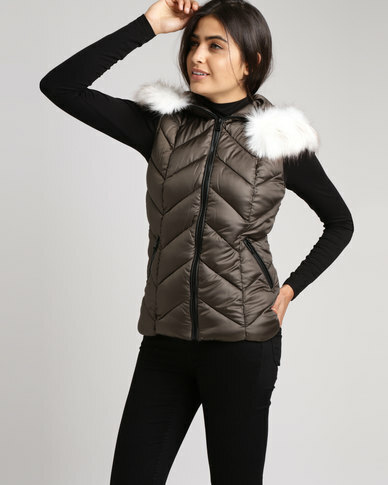 This sleeveless jacket boasts a faux fur trim, a quilted design with an adjustable hoodie and a zip front fastening. Its soft finish makes it the ideal pick for winter. Layer yours over any outfit this winter to create a chic look. Composition : Wadding, Lining, Shell and Faux Fur Backing: 100% Polyester.Faux Fur: 53% Modacrylic, 47% Acrylic. Am loving it. Thanks zando.